Is your siding starting to fade? Is the peeling of paint making your house look old and worn? 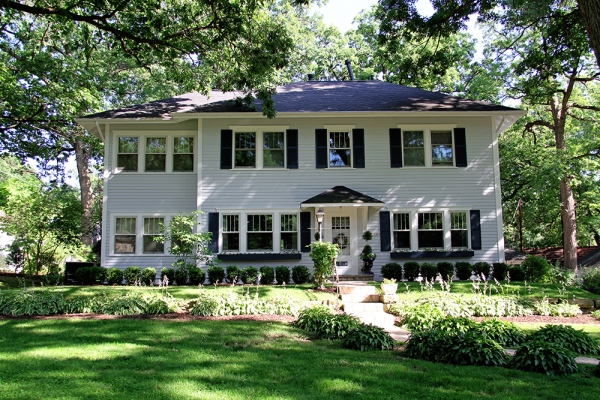 Let Primetime Painting restore your home to it’s original beauty. 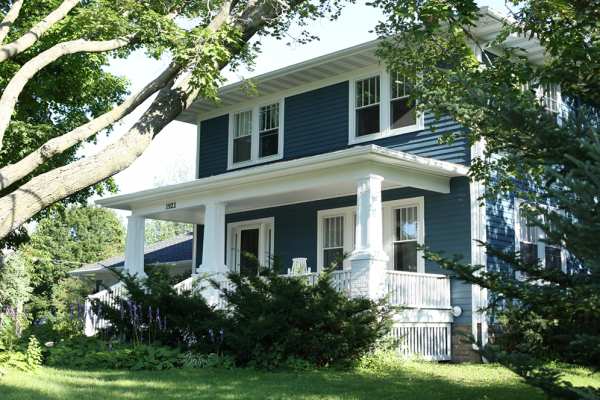 When properly prepped and painted, an exterior paint job can help maintain and even increase your home’s value. It will not only look beautiful, but it will be protected from the wear and tear of the harsh Iowa weather. Our meticulous painting process and attention to detail can save you time and money over your average paint job. Our painters take the extra steps to make sure that we are not just painting your house, but improving it as well! 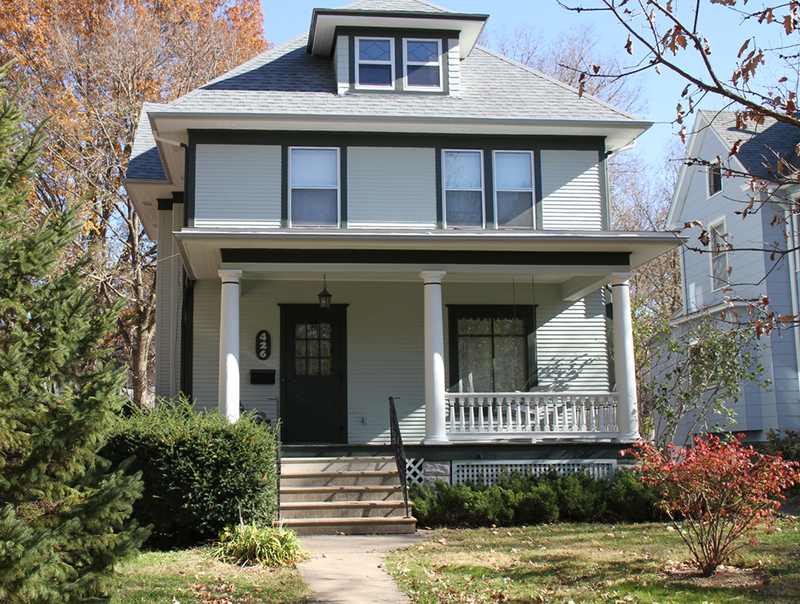 See our Process below for an indepth look at how we will handle painting your exterior. 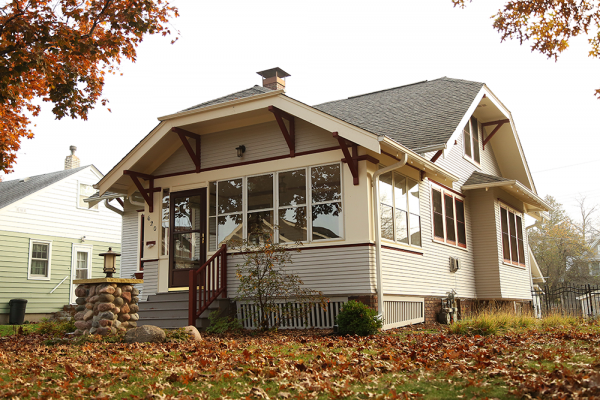 Our quality craftsmen have extensive experience in all types of siding. In addition to preparing the area before painting, we use only the best products most suitable for your siding. 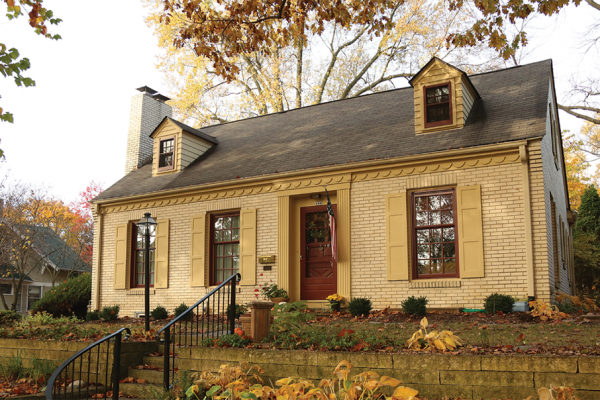 Instantly boost the curb appeal of your home by giving these difficult areas a re-touch. We specialize in each type of surface so that you can rest easy that you are getting the job done right the first time. Retouching these spots can make a dramatic impact on the appearance of your home. We have the right techniques and materials to ensure you receive a quality, professional job. Wood and vinyl each have their unique characteristics – our team of experts know the difference. 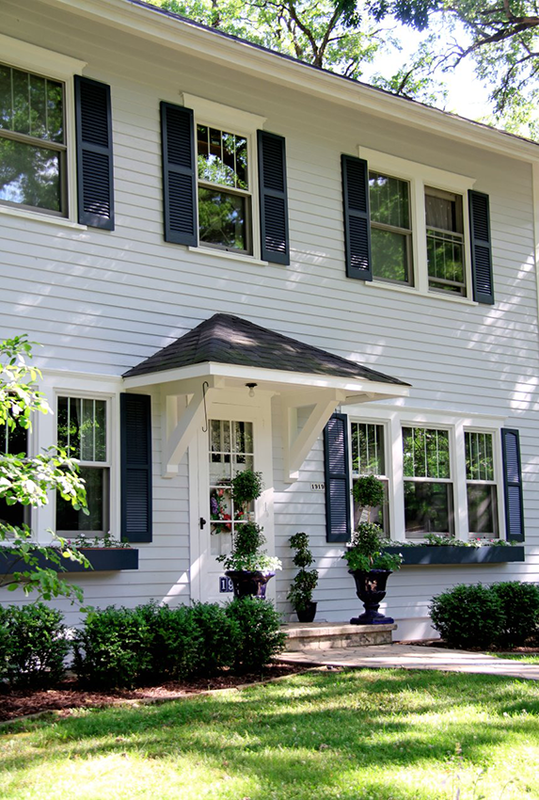 Keep your shutters looking fresher longer with an exterior paint job done right. Please keep in mind that unlike interior painting, exterior painting can have it’s limitations due to weather. If foul weather occurs we will return back to the job site as soon as it’s suitable to paint again. The exterior season is short. We usually book up quickly. Call early in the season for an estimate and get your work booked as soon as possible to avoid scrambling for a painter prior to the season ending. We start doing our exterior quotes in early March. We don’t do them earlier because we like to see how your house exterior has faired through the winter months. 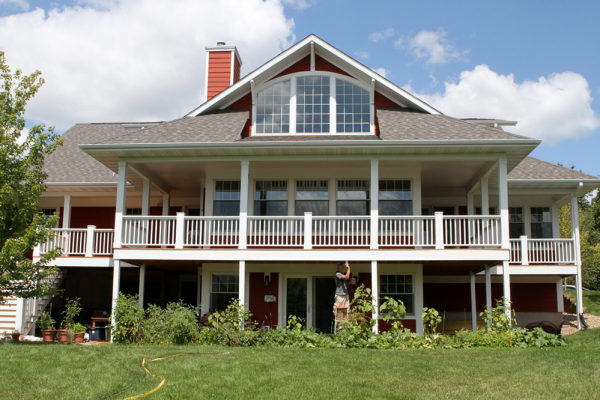 Our exterior painting process starts with powerwashing and cleaning the whole exterior. During powerwashing we are concerned with cleaning the painted surfaces as well as removing as much old paint and debris as possible. After powerwashing our crew will assess the surface. Depending on the material being painted, we will scrape all areas that need extra paint removed. Scraping the house is essential to the longevity of the paint job, and is a step many painters skip. *Not all surfaces require scraping, for example, vinyl siding that has not been painted would not be scraped. The next step in preparing the surface is to spot sand all frayed wood that may have splintered and is in need of attention after the prepping stages. Then our crew will inspect the house and wood putty or caulk any additional problem areas. Before the painting begins, we tarp off plants, bush’s ect to protect your yard. Then we go around and plastic/protect all windows and doors that are not being painted. Finally it is time to paint. We will apply the first coat with a sprayer and then brush the paint back in where necessary. This step is also skipped often by other painters and is necessary to get the paint into grooves or older wood surfaces. Then the second coat is sprayed to give a nice clean surface. Then lastly we trim in all windows, doors and accent pieces. After all the painting is done, our crew will clean windows and inspect the house for any touch ups or areas in need of more paint. Then we clean up the yard and leave you with a beautiful home to enjoy for years to come! 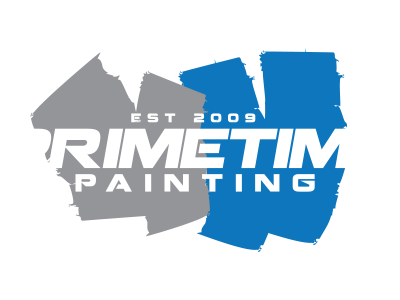 Primetime Painting offers painting services in all of the following areas; Painters in Iowa City, Coralville, North Liberty, Hills, Tiffin, Riverside, West Liberty, Wellman, Kalona, Solon, West Branch, Tipton, Cedar Rapids and more.. Our area of service and estimates do depend on our work load. We are based out of Iowa City, so if we are full for the season we will not offer services in outlying areas. If your area is not listed just email us your location and we will be happy to let you know if we can travel to you!